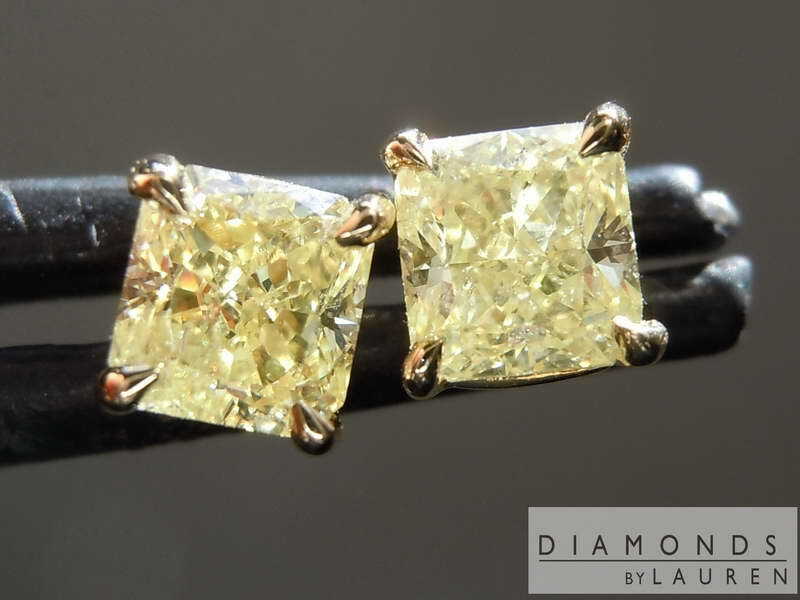 Part of the way we maintain our leadership in yellow diamonds on the Internet is by purchasing large parcels, and then utilizing them to make jewelry for y’all. 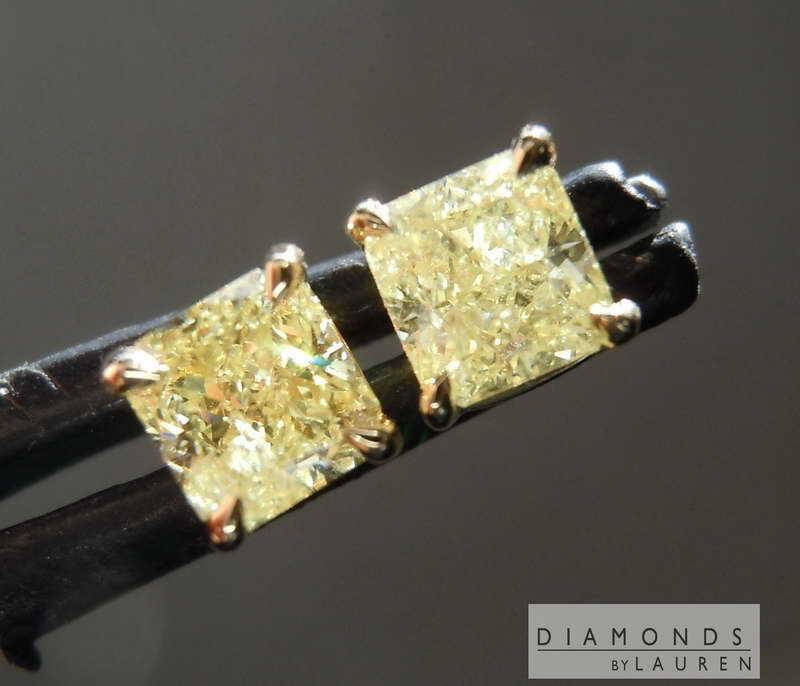 In this case the goods are a beautiful color, very bright, and very lively. 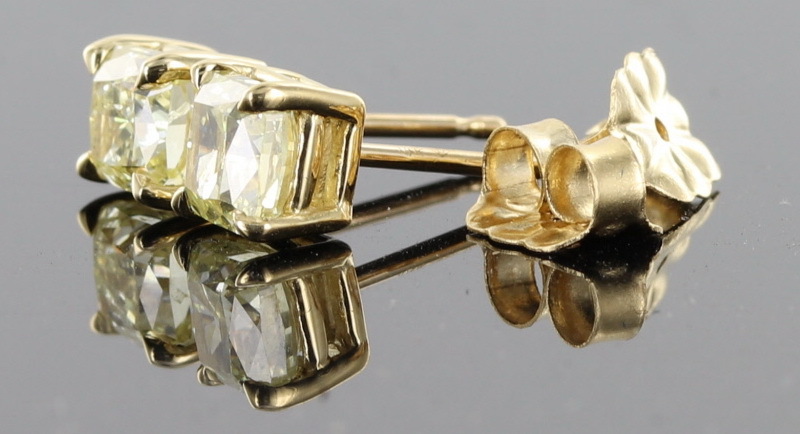 Even though this particular pair is I1 clarity, they sparkle beautifully. 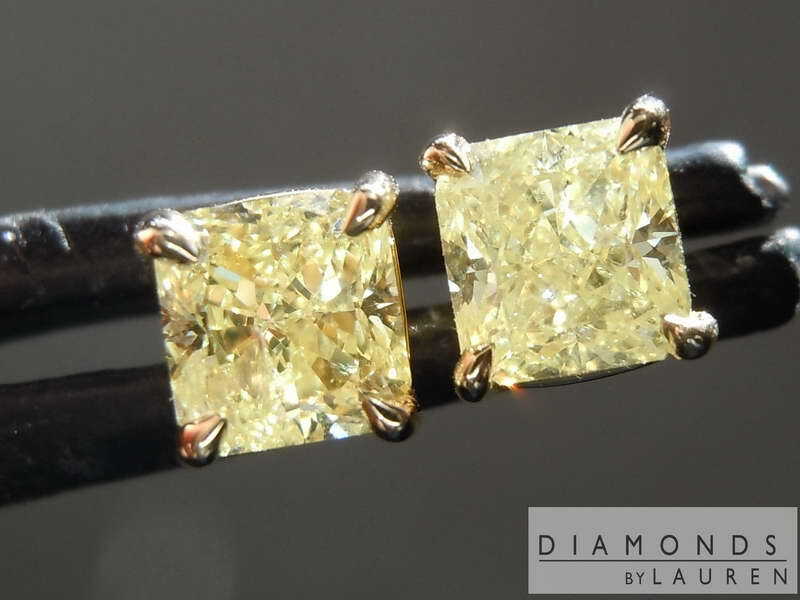 There is a substantial savings over VS clarity stones – but for earrings, these are perfect! They are beautifully cut as well. 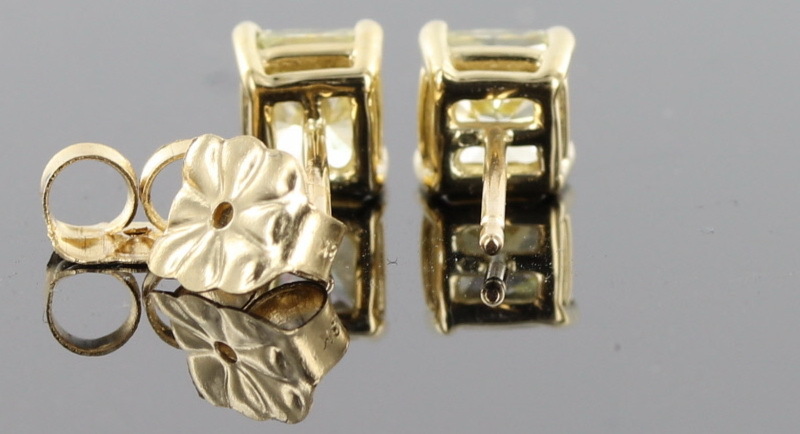 We’ve set them in gorgeous 18 karat yellow gold stud settings – look at the beautiful setting and prong work.